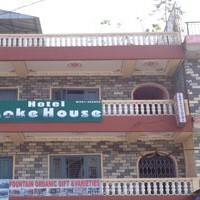 Hotel Lake House and Restaurant, located just a minute from the Fewa lake in the peace and tranquillity, offers superb hospitality with international standards of cleanliness. Situated within the view of Mt. Fishtail and Fewa Lake, it is only five minutes drive by taxi from the tourist bus park and the domestic airport. They provide flexible bed and breakfast, half-board or full-board accommodations on value for money prices. Deluxe & Suite Rooms with trendy room amenities.